Filling a DI Cartridge is easy. The most important thing to remember is to tightly pack the DI resin into the cartridge. 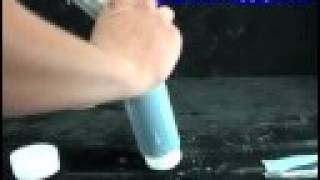 Loose DI will cause the water to channel through the DI, greatly reducing the effectiveness. I should have upgraded sooner, this is a much better design then my old one and easier to use. This is a well built part and I would recommend getting it. (Wish it came with a storage container) Where will I keep it while not in use so it stays clean? I suppose I will build one from PVC. Either way it is a great value and good quality. Get it! These work dang slick! Dump it in, pack it down, stick it in the housing. this cartridge with bulk resin is easy and a lot cheaper than buying the cartridge pre-filled. Using the standard DI resin and getting zero TDS and long resin life. Replacing the Coralife disposable cartridge. I like the economy and ease of changing. I have to shut off the water supply to my sink while changing out filters/ DI resin. Well, emptying out the DI cartridge can get a little messy... especially with no water to clean it up with. With the extra cartridge it becomes easy. Well built and easy to use. This Cartridge is clear enough to see DI resin change colors to know when to replace it. Have used multiple times and still going! Does this cartridge need to be cleaned or bleached in between refills? If so, what is the best way to do this? These do not need to be cleaned in between uses and simply replacing the media is all that is needed. I am wanting to buy the refillable cartridge and media for my DI. About how much DI resin fits into the cartridge? I want to make sure I buy enough resin. 1.25lb refill will change one cartridge. I have included a link to the I resin below. Will this fit a coralife filter? Unfortunately we are not familiar with the exact size of a coralife unit. These will work with most standard filter cartridges which are 10" tall from bottom to the top of the threads. Feel free to let us know if you have any further questions! Can you please tell me how many lbs of DI resin the 4.5"x20" filters hold? I'm guessing about 3lbs each. Thanks. 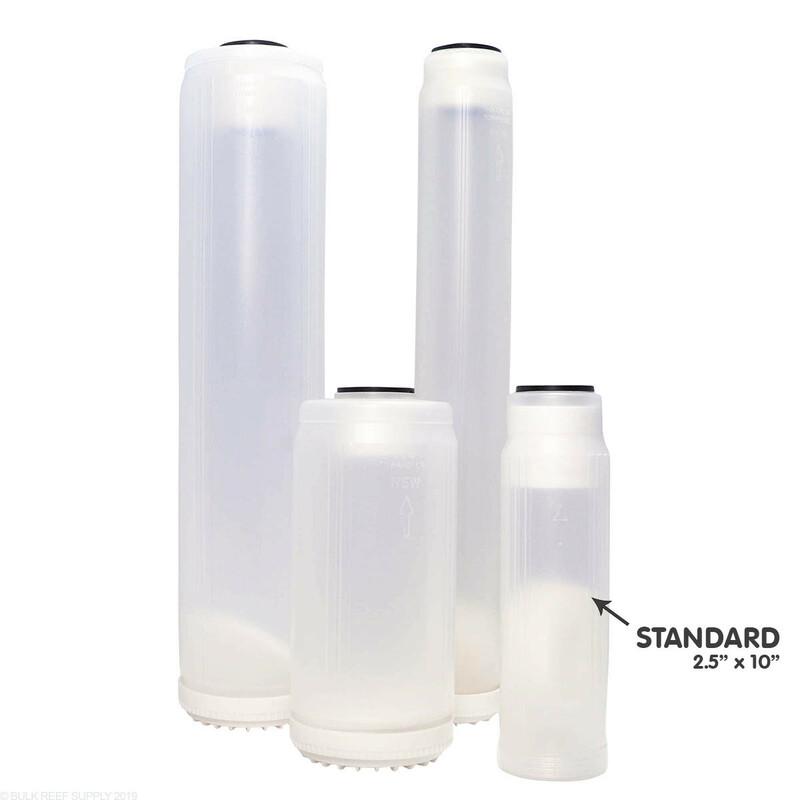 The 4.5 x 20” DI canisters can hold just about 7.5 pounds of DI resin. It will take just over 5 single use bags or we would suggest just a single bulk bag of DI resin. In order to change my DI resin, to I have to have the refillable cartridge? 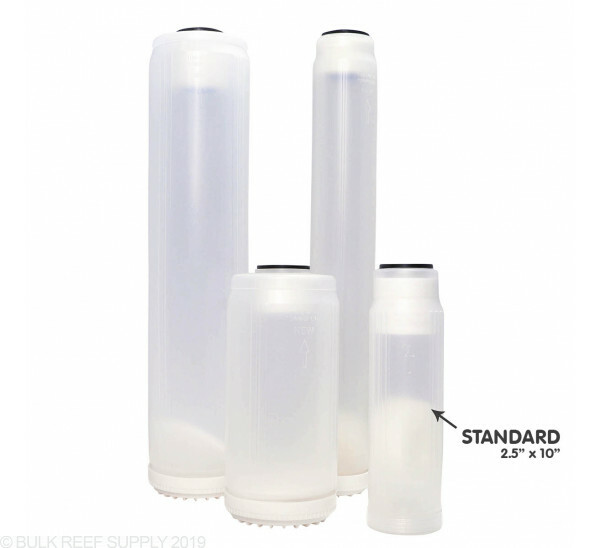 If you want to use the loosefill vacuum sealed DI resin like ours then you would have to have a refillable DI cartridge (which is included on all of our RO/DI units). Some other manufacturers use sealed DI cartridges which can't be empty and necessitate the changing of the entire cartridge. If this is the case, just pick up a refillable cartridge and you are set. What kind of connectors do these have? These are just internal cartridges meant to go inside of the corresponding canister. The cartridges themselves don't hook up to tubing or have any fittings on them. Does the standard cartridge fit the spectrapure units? We use standard size cartridges which makes them interchangeable with any other standard size unit on the market including your unit and almost all others!